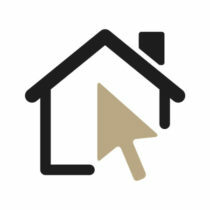 Are you preparing to sell your home at some point in the near future? If so, it’s not necessarily going to be easy to do it. 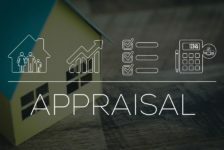 Due to declining home sales all across the country, there are a lot of American homeowners who are having an incredibly tough time selling their homes at the moment. 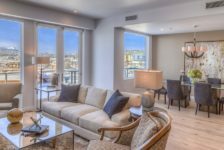 You can increase your chances of selling your home quickly by staging it before you go to sell it. That means doing everything from rearranging your furniture to making your kitchen cabinets look more modern. There are some homeowners who will go through the trouble of replacing kitchen countertops, kitchen appliances, and kitchen cabinets prior to placing their homes up for sale. But that could be very costly and can take too much time to do. Here are 6 cost-effective ways to fix up your cabinets without emptying your bank account. Do you hate the color of your kitchen cabinets right now? You might be under the impression that you need to replace them to take care of this problem. But the reality is that you can paint most cabinets to freshen them up and make them look new again. You can play around with different paint colors, too, to add some depth and richness to your kitchen. 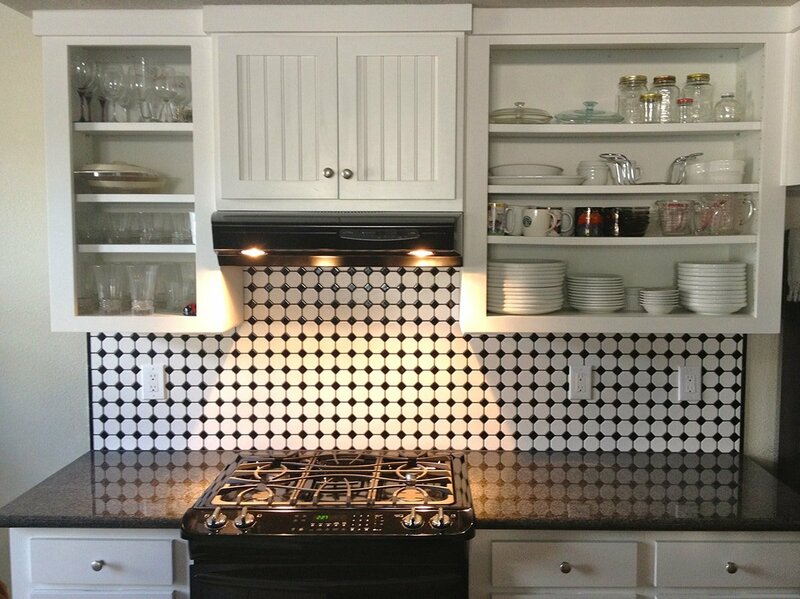 For example, you might want to go with a darker color for your bottom row of cabinets and a lighter one for your top row. You might also want to do one color for your main cabinets and a different one for your island cabinets. The choice is yours. But you can make your kitchen look completely different within a matter of just hours by investing in a couple of cans of paint and painting supplies. Is your hardware causing your kitchen cabinets to look more outdated than they actually are? This is yet another problem that’s pretty simple to fix. You can replace the hardware on your cabinets with modern touches that will enhance the look and feel of your entire space. From the knobs on your upper cabinets to the pulls on your utensil cabinets, there are all kinds of hardware options for you to try. Spend an hour or two in a hardware store looking at the different cabinet knobs and pulls to decide which ones would be best for your specific kitchen. 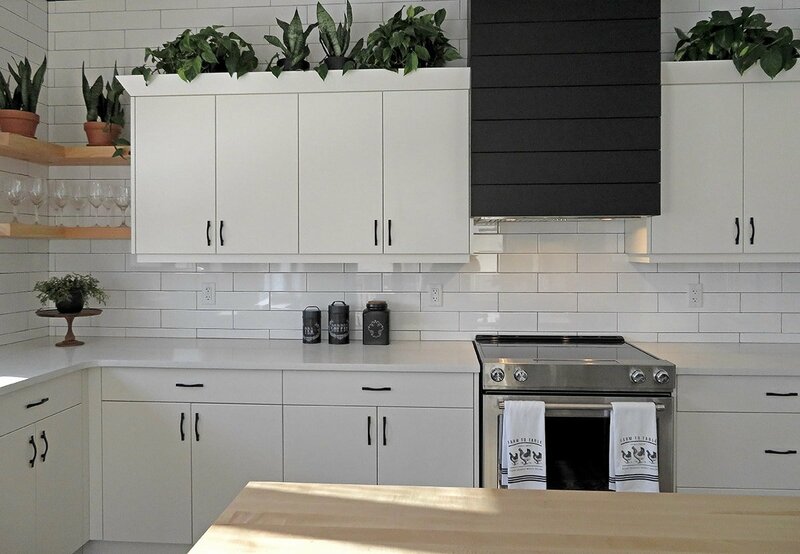 If you want to do more than just paint your cabinets and swap the hardware on them, you can go above and beyond during your kitchen renovation project. 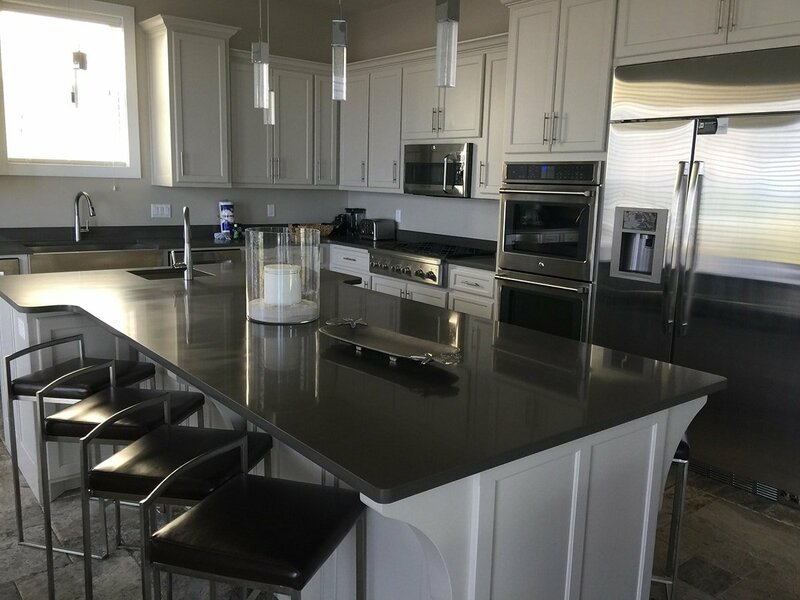 You can actually place glass inserts into each of your cabinets over the course of just a few days without assistance from a professional. You might be surprised by how affordable it is to replace your current cabinet inserts with new glass ones. 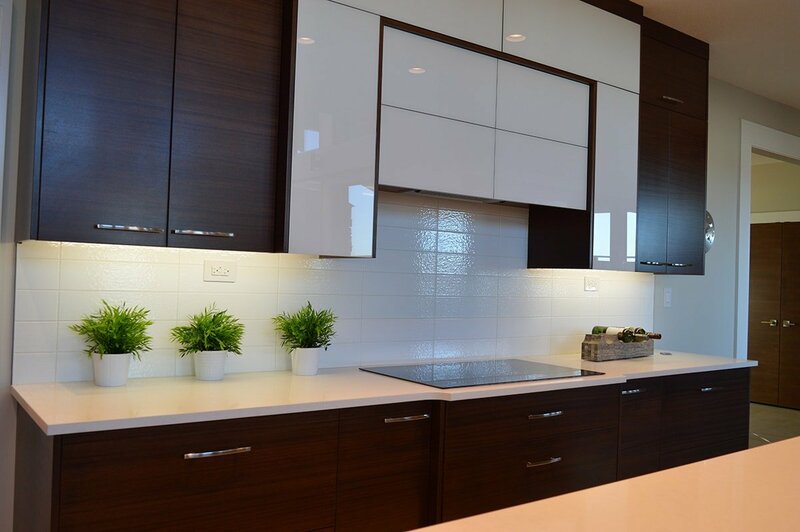 And the glass inserts will instantly bring your cabinets up to speed and make them look better than they have in years. 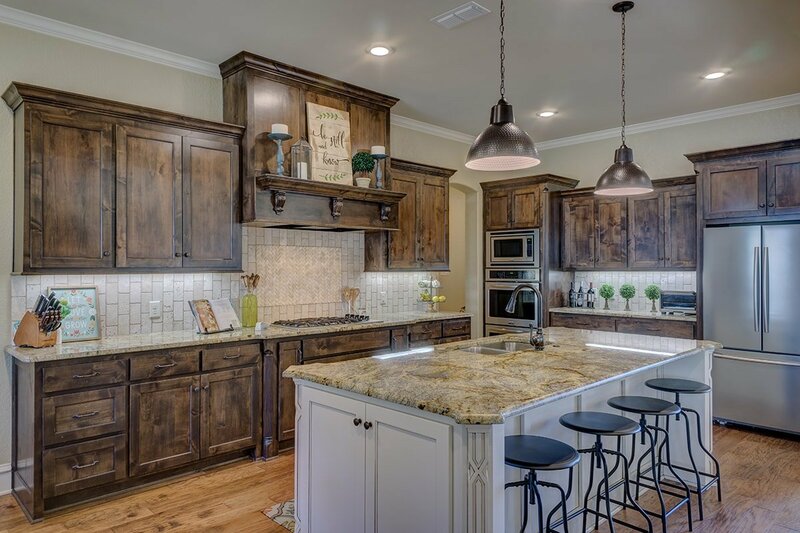 Once you’ve tinkered around with the cabinets in your kitchen, you want to make them the focal point of the room. 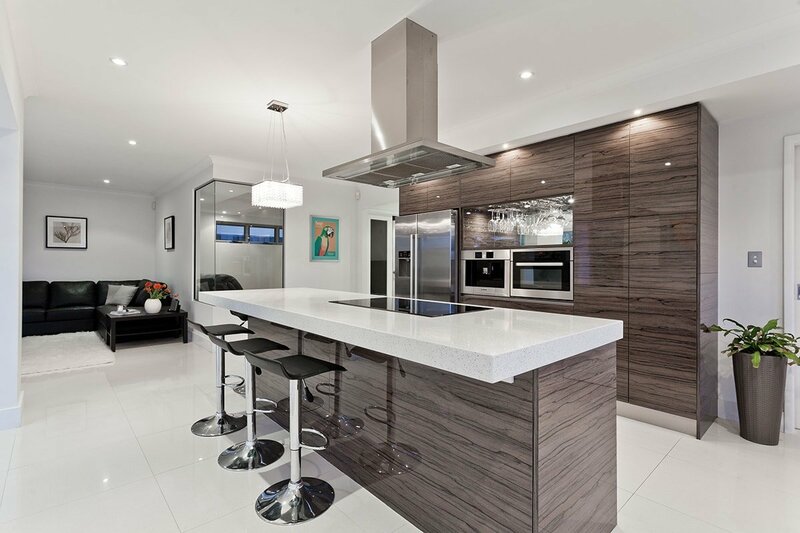 When home buyers walk into your kitchen, you want them to be absolutely blown away by how amazing they look. 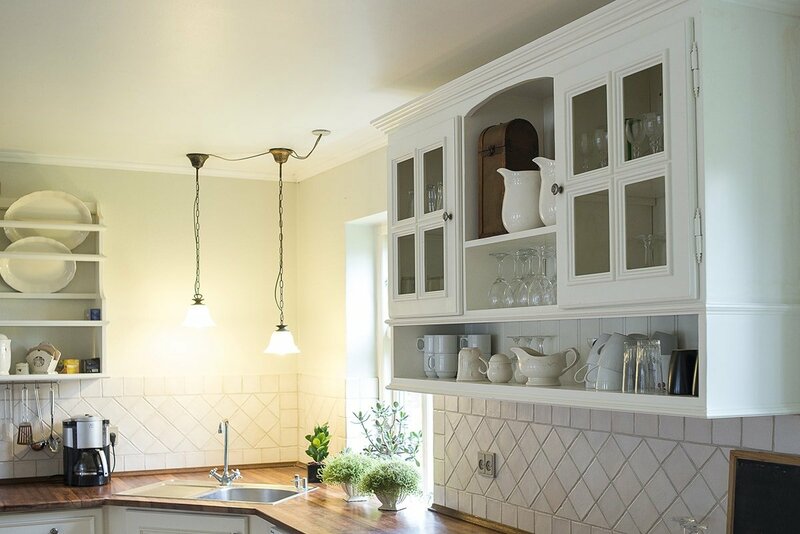 One simple way to draw more attention to kitchen cabinets is by installing lighting either on top of them, inside of them, or underneath them. You can also do some combination of all these things to add more lighting to your kitchen while drawing more eyes to your cabinets. If the first word that comes to your mind when you look at your cabinets is “boring,” take steps to spice them up. Builder-grade cabinets, in particular, could use something a little extra to put them over the top. You can improve the look of “boring” cabinets by installing crown molding around the top of them. The crown molding will make your cabinets look a whole lot taller than they actually are. It’ll also give them a more high-end look than the look they have right now. You’ll trick people into thinking you spent a small fortune on your cabinets when it really didn’t cost you much at all. There are more and more homeowners opening up their kitchen spaces by taking the doors off their cabinets completely and leaving everything inside of them exposed. This isn’t going to work in every kitchen. If you have cluttered cabinet spaces or cabinets that don’t look good on the inside, taking the doors off them so that everyone can look into them might not be the best idea. But if your goal is to make your kitchen look more open and minimalistic, removing the doors from your cabinets might be the right move. If you’re concerned about what the inside of your cabinets looks like, add some peel-and-stick adhesive to the back of the cabinets to add a pop of color. Read more about what you can do to your kitchen cabinets if you want to see some of the other ways you can transform your kitchen space. Painting kitchen cabinets is, hands down, the easiest way to alter their appearance without spending too much money. But it’s far from your only option when updating cabinets on a budget. All the ideas listed here will work in their own way. 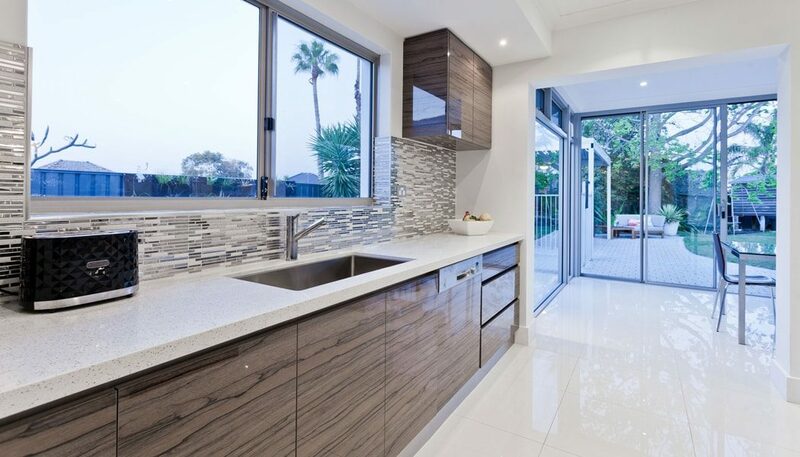 They’ll give you a better chance of selling your home by making your kitchen space look more appealing to others. 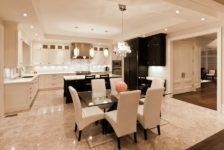 Read our blog for more tips on remodeling your kitchen prior to selling your home. There are so many ways to breathe some life back into your kitchen so that it’ll serve as a selling feature for your house.